For me, April is the best month. 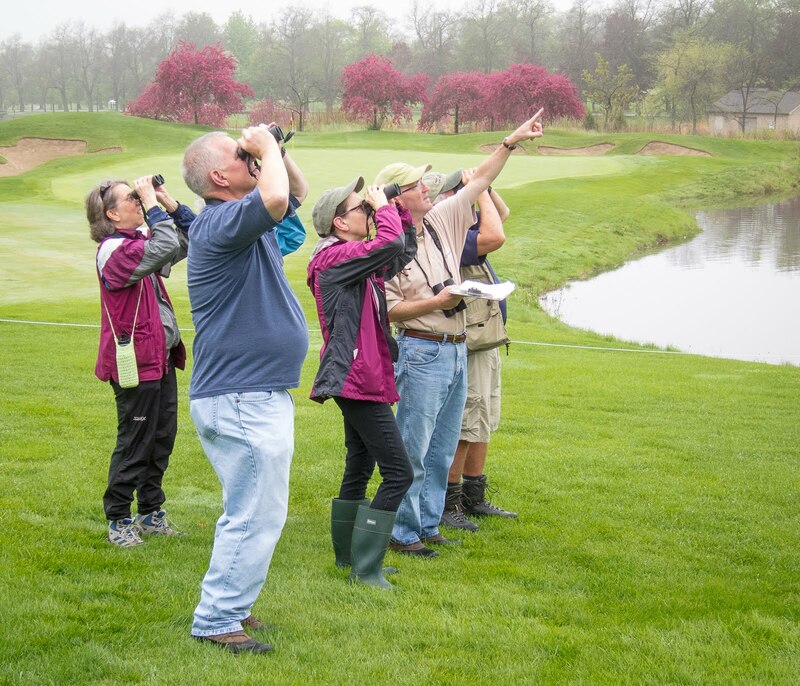 Baseball is back, golf courses are open and spring migration is ramping up daily. Avian April is exciting and filled with potential. Every walk outside, and every glance out the kitchen window, can be rewarding. Be alert and watch carefully! Anticipation only adds to the excitement. A few early warblers are appearing, with many more on the way. Tanagers, vireos and orioles, too. This is the appetizer for the main course in May. But savor every bite, because some special April birds will be long gone by Cinco de Mayo. DuPage is just a stepping stone on their way north. 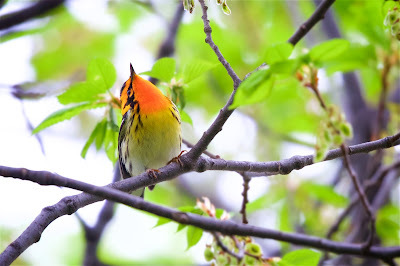 Look now for yellow-bellied sapsucker, winter wren, golden-crowned kinglet, hermit thrush, fox sparrow and pine warbler. You could even see a flock of American white pelicans. A few weeks ago, in the Glen Ellyn Public Library, I stumbled upon the perfect companion for the season: “North on the Wing: Travels with the Songbird Migration of Spring,” by Bruce Beehler. The newly published book describes a quest to observe all 37 Eastern wood warblers in their breeding habitats. Beehler, a Smithsonian ornithologist, starts on the Texas Gulf Coast in April and follows the neotropical migrants to their breeding grounds. It’s a 100-day birding road trip through America’s heartland and into Canada, with tales of interesting birds, places and people along the way. Migration is a vast and complex subject. I’ve always been fascinated by it, but also a bit intimidated. I admire those who study migration and share their findings in a reader-friendly manner. Beehler does it, and likewise Scott Weidensaul, whose 1999 “Living on the Wind” is the modern classic on migration. Be sure to read Weidensaul’s piece in the spring issue of Audubon. Using the rare Kirtland’s warbler as a model, his article examines how ground conditions in a bird’s wintering habitat can affect the success (or not) of its migration journey and subsequent breeding efforts. It’s groundbreaking stuff. There’s a good reason why so much awesome content is surfacing in 2018. Four organizations--National Audubon Society, National Geographic, BirdLife International and Cornell Lab of Ornithology—declared this the Year of the Bird, to mark the centennial of the Migratory Bird Treaty Act, our most important bird conservation law. Migration is for anyone who likes a good mystery. We know a lot, and we’re learning more all the time thanks to tiny radio transmitters and other tracking technology. But any ornithologist would tell you that much remains unknown. Knowledge gaps exist for many species, such as where they spend their non-breeding months or the routes they travel in migration. One of the “big questions” scientists debate is why some birds migrate and others don’t, even closely related species. And what price do birds pay for carrying out long-distance migrations year after year? Is it worth the stress and risk? Does it shorten their lives? These questions are addressed in “Trade Off,” a fascinating article by biologist John Kricher in the March-April issue of BirdWatching. Of course, watching birds beats reading about them any day. So, if you wish, forget about these books, maps and magazine articles. They’ll still be here when spring migration winds down in late May. Don’t wait: Get outside now and welcome back our long-distance champions. While you’re at it, let yourself wonder. When you see a brilliant Blackburnian warbler, wonder where it spent the winter, and where it might be a week from now. When you spot your first hummingbird, wonder how it crossed the Gulf of Mexico without stopping, a 600-mile flight. Marvel at how creatures so delicate can be so determined and tough. Be curious about their built-in GPS systems and navigational precision. You might also ponder the man-made hazards and natural events that migrating birds encounter, making their success seem even more miraculous. Let’s all celebrate World Migratory Bird Day on May 12 by doing something nice for birds, including our non-migrating regulars. For information and ideas, visit birdyourworld.org, the official Year of the Bird website.